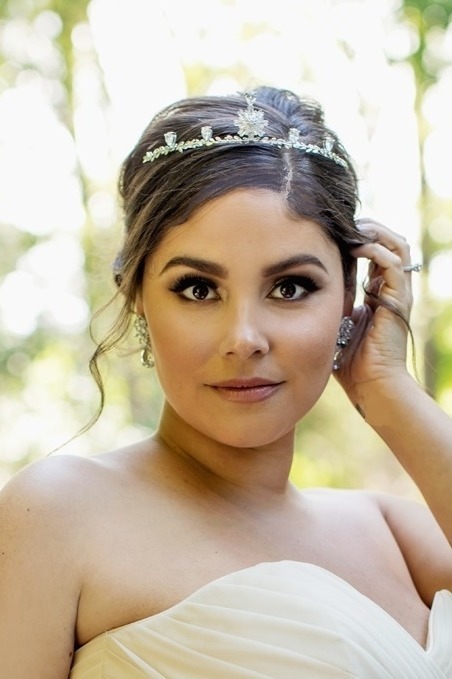 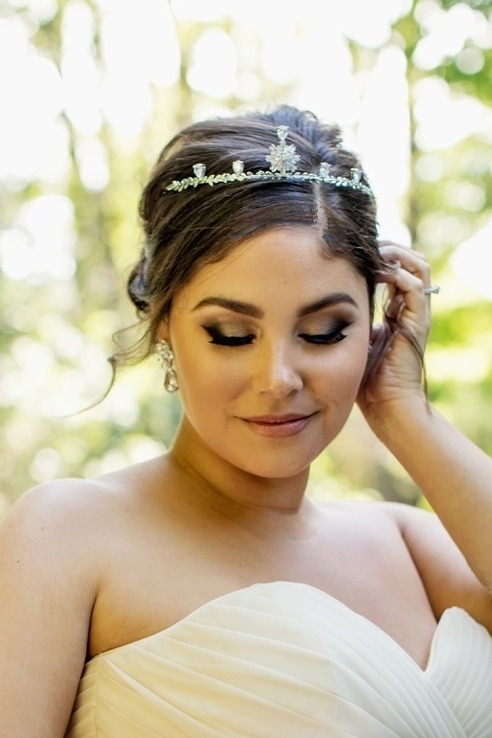 Flawless simulated diamonds are lavished on this diadem-style tiara in a glorious cluster of baguette-cut stones, accompanied by five perfect pendeloque-cut stones to create an ever-so-delicate and shining star tiara. 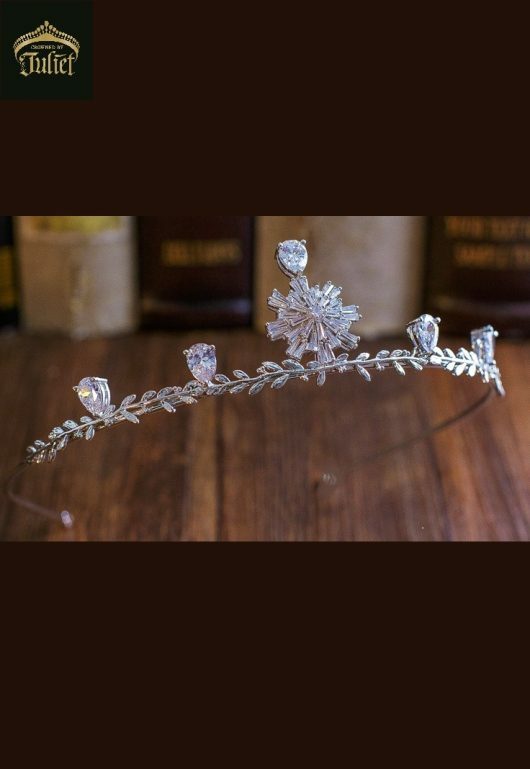 The NORTH STAR DIADEM beckons the soul to recall the beauty of the night sky when the shiniest of celestial wonders – the North Star – draws everyone’s attention; just like the bride who will wear this tiara on her wedding day. 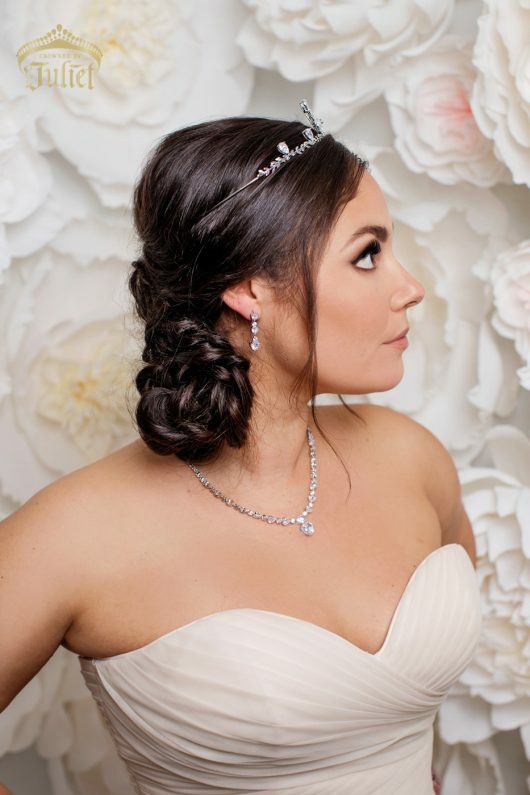 Its simplicity only enhances the splendour of the cluster of cubic zirconia diamonds. Weight: 29gr / 1.0 oz. 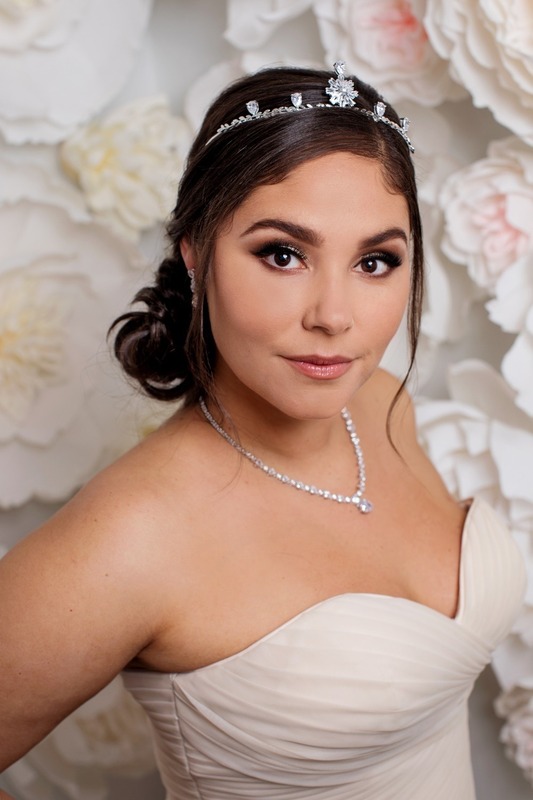 More brilliant than crystals, cubic zirconia diamonds are unparalleled in flawlessness and clarity, and are the closest simulated jewel to actual mined diamonds. 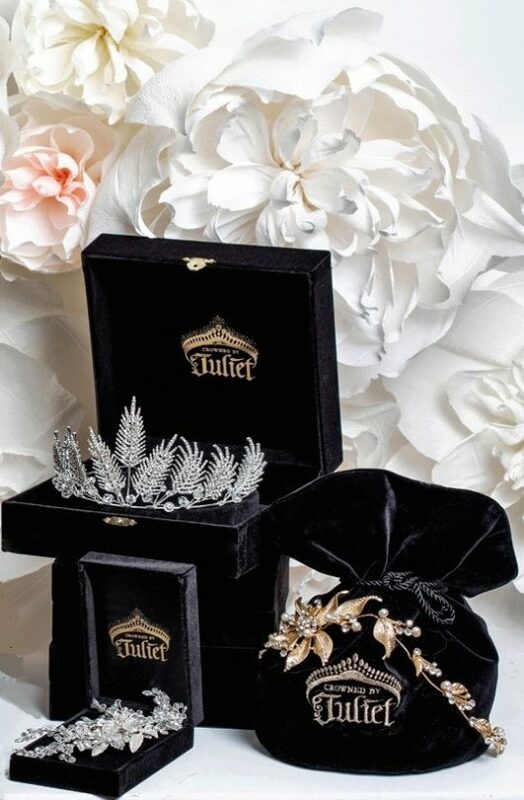 Because of this, Crowned by Juliet’s best pieces have AAAA cubic zirconia diamonds instead of Austrian or Czech crystals.